Elastic Cloud Gate is your best option in working with Redshift as well as creating tables and uploading data. 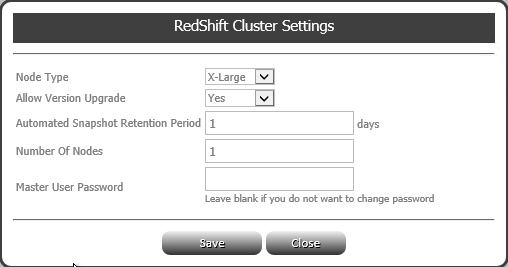 We have all the tools you need to manage the Redshift cluster completely. When you finished creating a Redshift cluster in the AWS Management Console, our portal will provide you with a user-friendly wizard that can help you import the data into an existing table or create a new table. You can execute the wizard in real time or output it in the form of a query, which is adjustable and can be run later on. 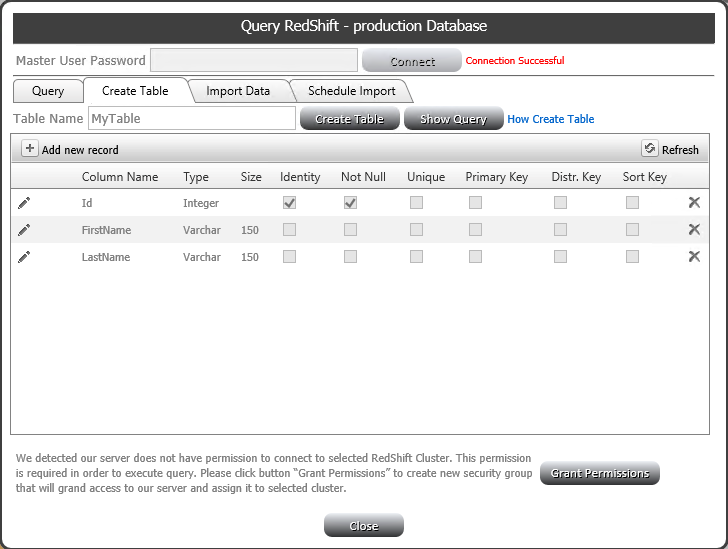 In addition, you can use different SQL commands to query any of your Redshift database. If you want to change parameters in the cluster, the scheduler allows you to do so. This includes changes such as the number of nodes or the size of instance based on the hourly, daily or monthly basis. You can also execute upload data based on the schedule. This is another option you will get with Elastic Cloud Gate service that can chart Redshift metric in order to track performance and utilization of Redshift database. You can also change your cluster setting and review Event Log.